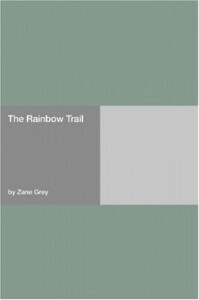 The Rainbow Trail - Zane Grey - review - Level up! A sequel to Riders of the Purple Sage. Did Riders need a sequel? Not really, but like the best sequels, this one leaves the original in peace while ekeing out a new story that coexists and is strikingly different from the first. First of all, we've got mostly new characters. The characters of Venters and Bess are only mentioned (no-- they show up in the epilogue), and Lassiter and Jane Withersteen are only in the last few chapters. 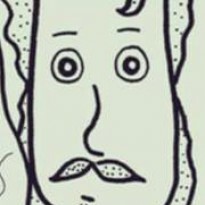 Instead, we are introduced to Shefford, a new character, possibly author proxy, but complex and interesting enough. At turns naive, idealistic, and rugged and adaptible, we get to see the west through his eyes. The west in this book has changed-- 15 years from the first story. The action in this book takes place southeast of the colorado / grand canyon, while the first book was implied as (although I guess it doesn't have to be) northwest of the canyon. Those areas are similar, but separated by hundreds of miles of arduous travel, and might as well be in different countries. In The Rainbow Trail, Shefford experiences Navajo country through his friend Nas Ta Bega (apparently patterned after a real-life friend of Zane Greys, Nasja Begay). Nas Ta Bega appears throughout the story as a mystical, mysterious, almost magical figure who understands the world a lot better than our protagonist. While it may be kind of hackneyed today to imbue the native american character with magical properties, remember that this was in the time where natives were still considered savages and sub-human. (call back to the book "Oysterville" by Espy where a white man shows up and shoots the local indian chief at dinner "just because I always wanted to shoot an indian") So, I think Zane Grey had a real respect for his friend Nasja Begay and wanted to convey in his books his love for the Navajo people, their culture, and their way of life. We also have encounters with Mormon culture in the Utah Borderlands. by the 1890s, the mainstream LDS church had officially renounced polygamy (a point Grey doesn't bring up at all), but there were still plenty of folks who in secret or semi-secret still married multiple wives. Having lived among and met some of these folks in my life, the most unrealistic thing Zane Grey describes about the mormon wives is that they were beautiful. Maybe they were 100 years ago, but 100 years of inbreeding has made that seem ..ahem... less than likely. There was also a common misconception (that Zane Grey doensn't necessarily address or refute) that Mormon men had some hypnotic power over young women and would steal them away to be their proselytes and wives. Truth was a little more prosaic, and the gender balance was maintained less by recruiting young women and more by expelling young men-- a practice still in place today in FLDS communities like Colorado City AZ. The character Joe Lake, as one of those expelled young men, would have less of a positive outlook towards his own upbringing and church, but hey-- whatever. One thing I think Zane Grey got right (and this is important, because I do believe he [in 1915] met, talked with, and lived with many mormons), is that the mormons of the younger, post-polygamy generation were fundamentally different from their parents generation. I would hope (as a mormon myself) that each generation might learn from the mistakes of their progenitors. These books are behind the XKCD Line, so it's difficult to detect the anacrhonism in the story, etc. because it's ALL so long ago. Anyway, I enjoyed the plot of The Rainbow Trail. It was quite different from Riders. Riders was cowboys-and-rustlers, horses and gunslinging. The Rainbow Trail was more man vs. nature, navajo vs settler, and perhaps a bit more true to the character and characters of the west. As a final word, if you read Riders of the Purple Sage, read this one as well. I recommend it.